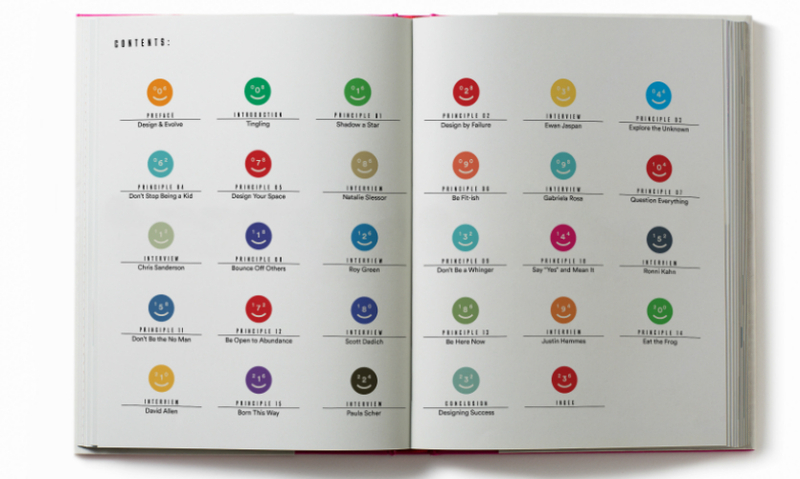 Design Your Life is part Design Thinking manifesto, part self-help book. Frost approached the book as a brand. Reduction was Frost's goal—how to get the message across in the most efficient way. 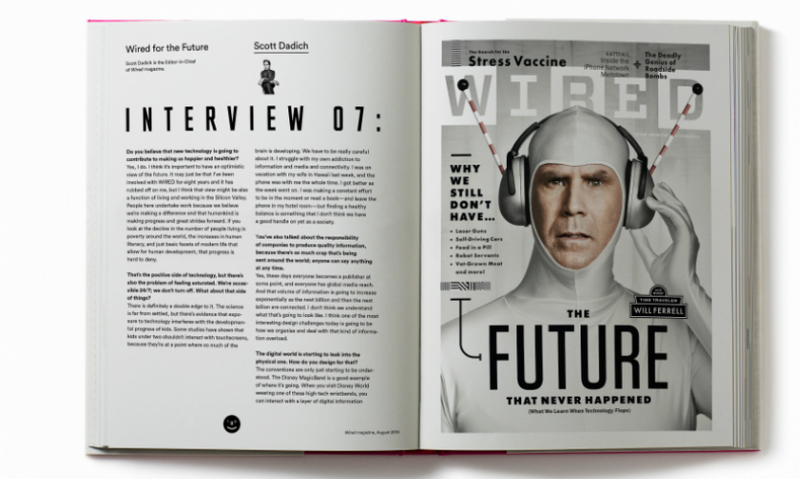 He included interviews with people like Scott Dadich, editor-in-chief of Wired magazine. This is his favorite typographical spread. 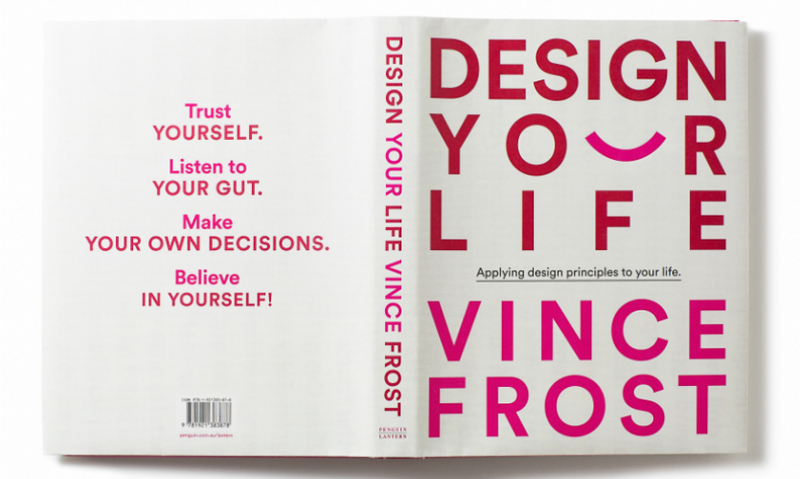 Vince Frost had been a designer for 25 years, built a successful global practice, and earned numerous accolades before he realized that design could actually help solve the ultimate problem: improving his personal life. The founder and creative director of The Frost* Collective based in Sydney, he leads multi-disciplinary design teams focused on branding, digital design, and environmental graphics. 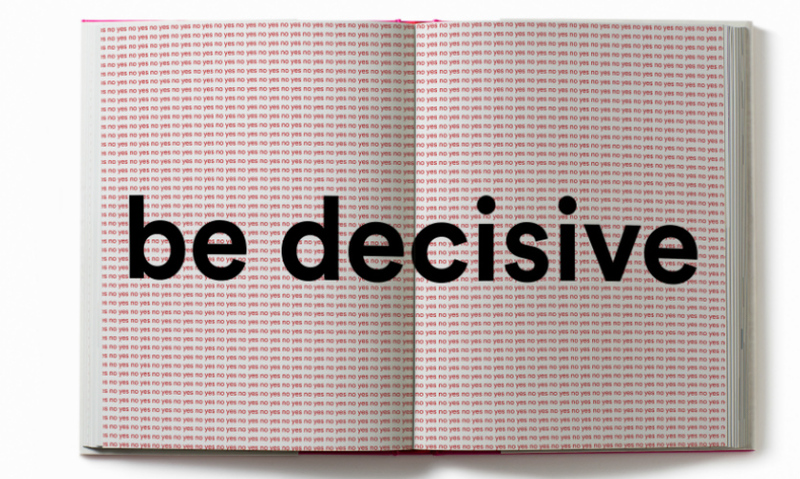 His new book Design Your Life is part typographic self-help guide, part essay collection on his life and work and efforts to keep the two in balance. 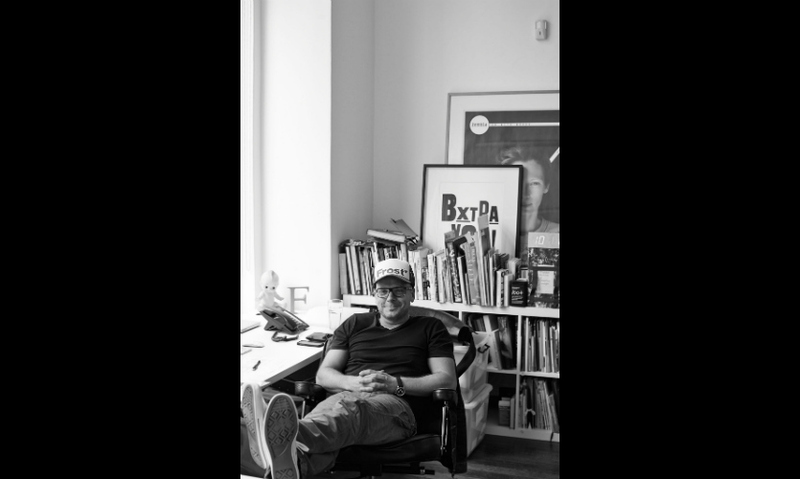 He spent some time with us recently to talk about what inspired the book and how he ultimately approached it as a design challenge. 1. "Design thinking" is such a buzzword these days. You've gone a step further, even, by applying design thinking to your personal life. When was the "a-ha" moment when you realized that there is a parallel between the two? The a-ha moment for me came when I couldn’t think of any more options and stopped relying on other “experts” to solve my problems. I tackled my life problems as if they were client briefs and it started to work. 2. What inspired you to write a book about it? I did a talk at the Apple store here in Sydney in 2011, and it was titled “Design Your Life.” I’ve done many talks and I got tired of talking purely about the design work and so I focused on my life and work as one. Julie Gibbs, the editor of Penguin Lantern, was in the audience and came back to me a couple years later and said that she would like to do a book on Design Your Life and I said yes. 3. You must have had a visual goal for the book as well as a narrative one. What was that visual/design goal? The funny thing is when someone tells me I can do whatever I want I get very anxious. I need to have parameters. This comes from spending my career helping people solve their problems. When there isn’t a problem or in this case a self brief, I struggle with it because it can be anything but needs to be something, if that makes any sense. One way for getting around this issue was for me to approach DYL not as a book but as a brand. I started designing a logo rather than a cover, and affirmation cards and posters followed. I got excited about what this brand could become and the book being the launch vehicle for introducing this new brand into the market. 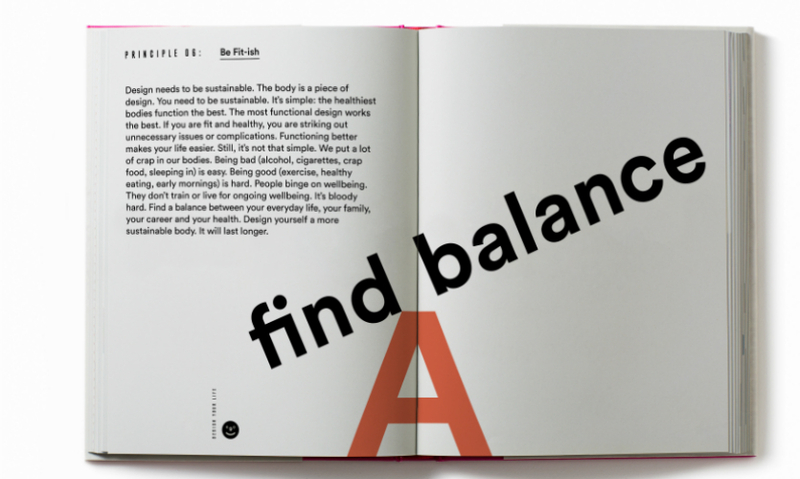 I wanted the book to appeal not just to designers but to the general public. I made it the same size as an iPad and my favorite Moleskin notebooks. I tried hundreds of covers and spreads before I established the look and feel. In fact the very first cover I sketched out in the very first few minutes of starting the project became the final cover. 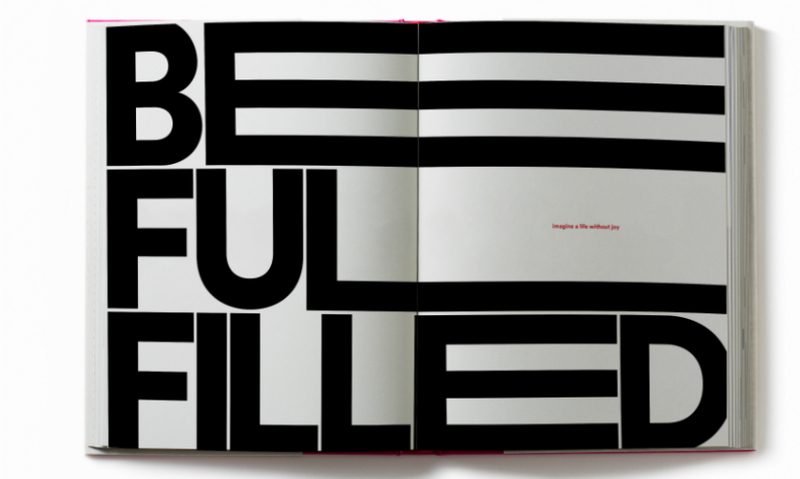 I wanted the affirmations to become spreads that were easy to engage with—memorable mini posters. I love playing with words and typography and finding an idea without adding additional imagery. Reduction is my goal—how do I get the message across in the most efficient way. My ultimate goal is how can I help people improve the quality of their lives. If the principles by which I live my life work for me then perhaps they can work for others. We are all trying to find our way through life; it’s not easy. People seem to relate well to what I’ve covered and I tried to make it really simple and practical. I need to read it again to keep me on track. Eating the right food and getting regular exercise and sleep sounds basic but it does make all the difference to your wellbeing. 5. What did you learn from the experience of writing the book? That it is very hard. I have designed well over 50 books so far but, it’s the first book I wrote and designed. Plus it’s highly personal content. While writing and designing this book I questioned my ability, but my partner Miya was highly supportive so I persevered and pushed through. It’s amazing what you can do when you have an immovable deadline.